Now that school is back in session, my husband and I are busy cheering for our grandkids at their soccer games. We enjoy sports and supporting our grandkids and try to never miss a game. That means I need to plan my weekly dinner menus in advance. It would be easy to fall into a boring routine when it comes to preparing evening meals but I like to mix things up a bit. One way I elevate our midweek meals is by making Lemon Bucatini. I’ve fallen in love with Barilla® Collezione Artisan Collection, especially the bucatini. 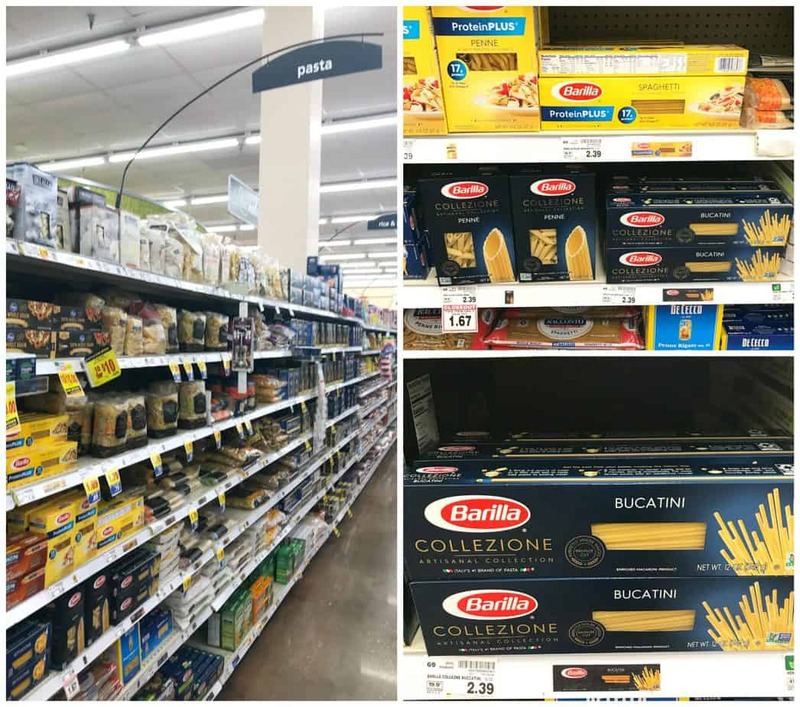 In case you don’t know, Barilla® Collezione is a premium pasta and features six artisanal pasta shapes. I’m impressed that Barilla® uses traditional Italian bronze plates for that homemade al dente texture that I love. It’s an added bonus that Barilla® Collezione pasta is made with non-GMO ingredients. We enjoy citrus flavors at my house, especially lemon. 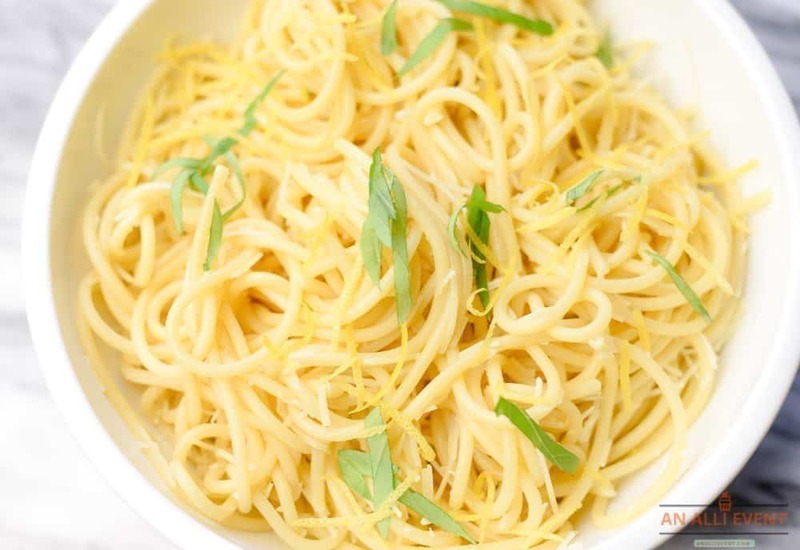 The flavor combination of the lemon juice, olive oil, basil and lemon zest is light and refreshing and makes Lemon Bucatini a favorite with the family. Bucatini looks like spaghetti but has a hollow center, known as the buco or hole. It pairs well with the olive oil, lemon juice, and cheese in this recipe. 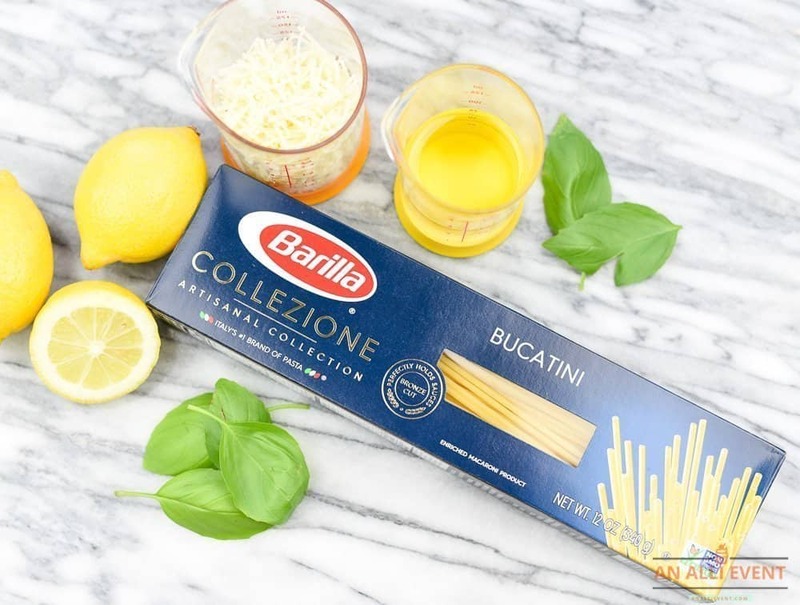 You can find Barilla® Collezione Bucatini and all the ingredients to make my Lemon Bucatini at your local Kroger. Make sure to save with this special SavingStar offer: Spend $15 on any Collezione products between 09/06/18 and 11/26/18 and receive a $5 reward. Lemon Bucatini is made with fresh ingredients that compliments the elevated taste of Barilla® Collezione Bucatini. Cook bucatini according to package directions. Meanwhile, in a small bowl, combine cheese, lemon juice, and olive oil. Drain bucatini and transfer to a large bowl. Pour cheese mixture over bucatini and toss to coat. 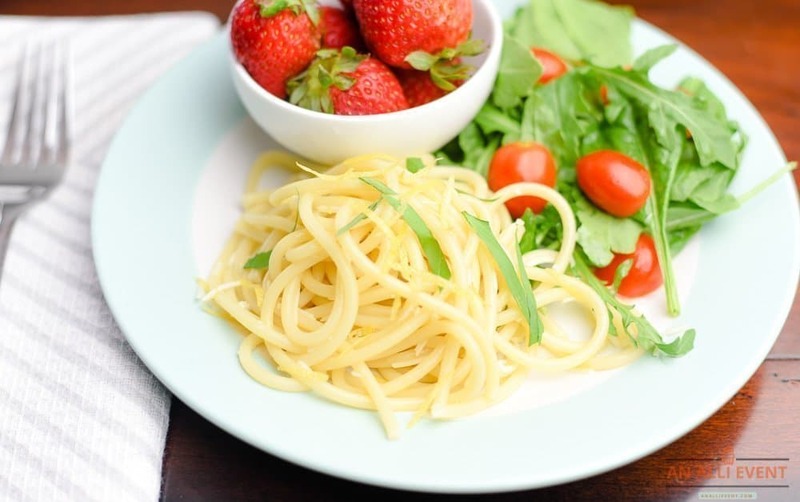 Sprinkle pasta with lemon zest and basil. Helpful Hint: I use a handy lemon zester to quickly zest lemons. If you don’t have a zester, you can use a sharp knife or vegetable peeler. Remove only thin strips of the lemon peel and avoid the bitter, white pith. 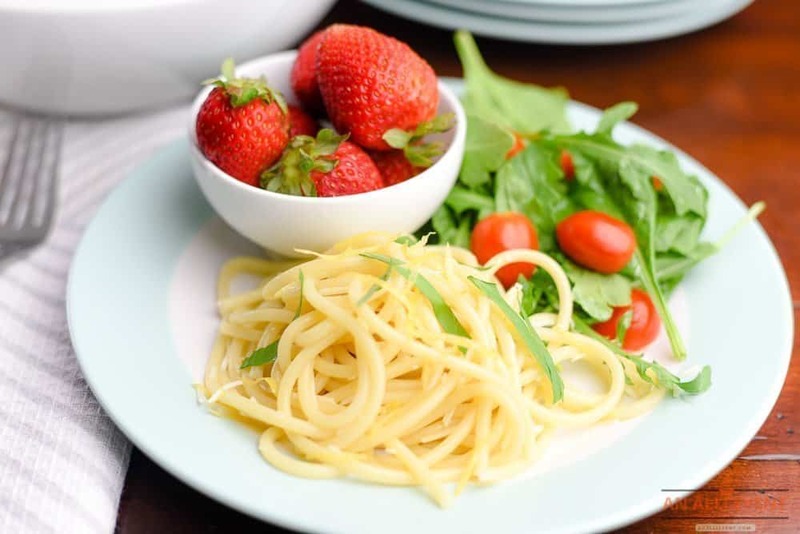 I like to serve Lemon Bucatini with a spinach and arugula salad and a serving of fruit. It’s a light, flavorful meal that’s perfect for weeknights or when I’m having company over. Cook bucatini according to package directions. Meanwhile, in a small bowl, combine cheese, lemon juice and olive oil. 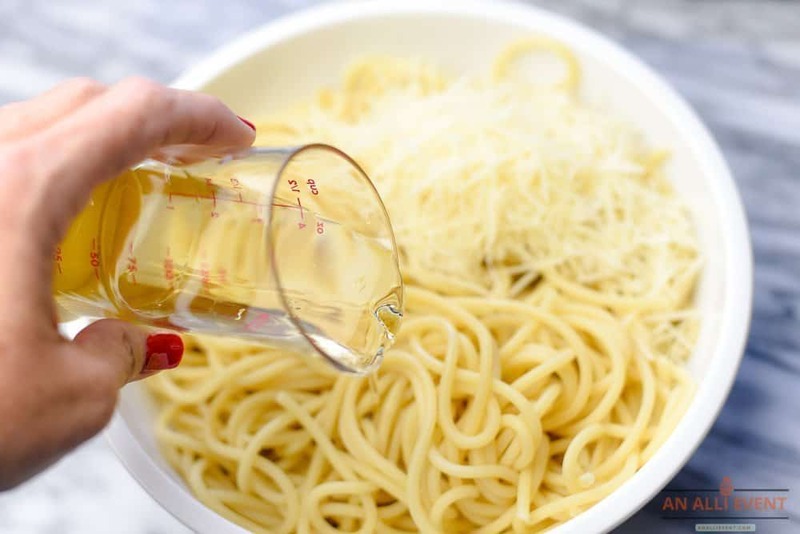 Drain bucatini and transfer to a large bowl. Pour cheese mixture over bucatini and toss to coat. Sprinkle with basil and lemon zest. 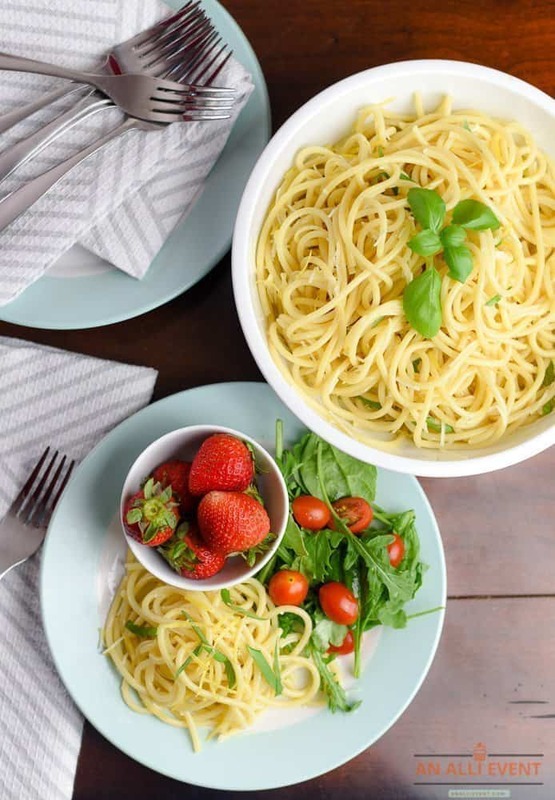 Try my Lemon Bucatini soon and elevate your everyday meals. Barilla® Collezione Bucatini makes it easy and delicious. Yeah, we are ALL about the pasta in our Italian household and this sounds like a wonderful dish. And we always use Barilla, too! I hadn’t heard of this dish before. I’m intrigued. I’m sure everyone in the house would love it. We’re big on pasta here! I can’t wait to share this with my family and get them to try the new Recipe as we shop at Kroger and eat a lot of Spaghetti so having something new for dinner would be a God send. As well as allow me to make a dish to share with the teachers in my son’s school. We eat a lotta pasta and this is a dish that will probably make an appearance on our dinner table. Looks like a light pasta dish that would fill them up without breaking the bank. That looks so light and refreshing. I bet that lemon adds just a great flavor to the pasta. The perfect summer dish. OK I most definitely need to try this! It sounds absolutely amazing, I bet the lemon adds a delicious twist of flavour to it! I conceive this website is really instructive! Continue pᥙtting up. I will absolutely have to make this one sometime! The family would really gobble this up! I’ve never had Lemon Bucatini before. This recipe looks so yummy. Can’t wait to try and make it for myself for lunch this week. I am a sucker for anything with lemon. It’s my favorite topping for pasta, with some fresh basil and grated cheese. I don’t think I have ever had buccatini pasta before. 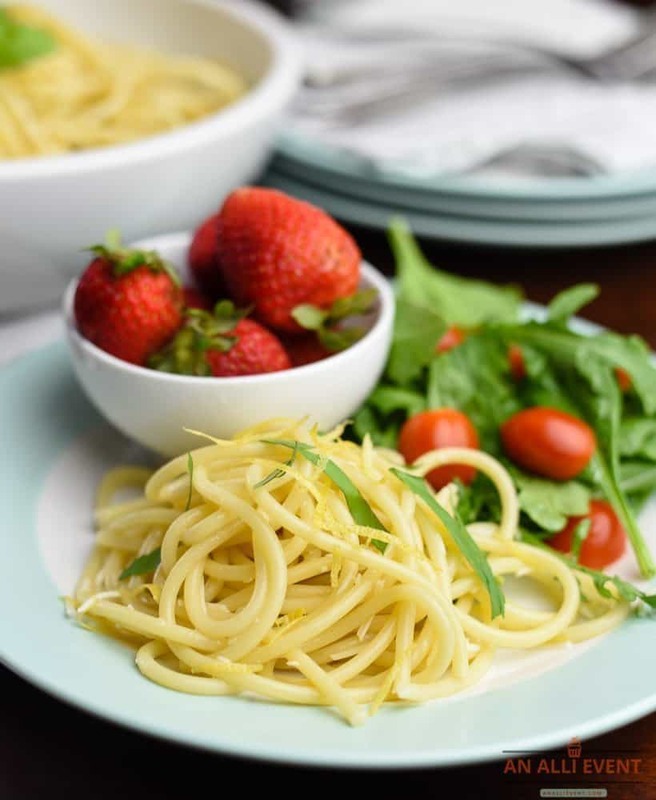 This pasta with lemon sound so refreshing and delicious. Such a lovely and easy dish to make at home. Thanks for the tips on how to make it perfect! I would love to make it one of these days! I love how fresh this dish looks with the addition of greens. This is how I want my pasta, simple but delicious.